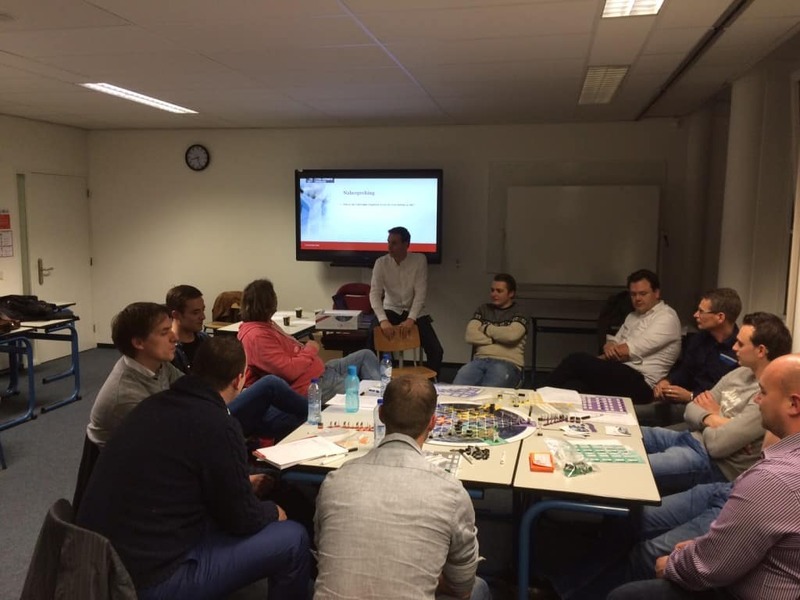 After having started with full-time students from the HU University of Applied Sciences Utrecht last year, on Thursday night the 7th of January the Perspectivity Challenge was played with part-time students for the first time. About 24 students (two tables) played the board and business game in which they deal with dynamics and sustainability challenges. Learning by playing a board game instead of making homework assignments or listening to presentations by teachers … a nice start of the new year! Students commented that they had a fun evening and that they gained new insights (in for example complexity, dynamics, individual versus common interest). The Perspectivity Challenge was supervised by two facilitators, Freek van der Pluijm and Kitty Vreeswijk. For Kitty it was the first time as a facilitator (unexpected hard work). The beauty of the part-time group was that all students work in business and industry next to their studies and notice which subjects are currently important and how companies deal with sustainability issues in practice. This evening was a warming-up for those students taking the upcoming course on Sustainable Business Development.